So we’ve all done it. Said that five letter word that comes back to bite us in the booty. When I have kids, I’m NEVER letting them…you fill in the blank. I’ve said it about a lot of things, but the one I was most adamant about pre-baby, was that he would sleep in his own bed. I had this vision of putting my baby in bed and him falling asleep on his own. Or reading my toddler a book, giving him a kiss, and then leaving the room before he was asleep. And guess what? I’ve had to eat those words. Sort of. As a baby, Hudson was a great sleeper. Fell asleep on his own. And slept all night. We moved when he was almost 6 months old. It. Threw. Him. For. A. Loop. We survived, adjusted. He slept fine until he got into toddlerhood. Then his sleeping habits, well they weren’t habits anymore. He started wanting his back patted until he fell asleep. Then he would wake up at night. We were up two or three times a night trying to get him back in bed. I felt like a new mama all over again. Some of those nights, we put him in our bed. You gotta do what you gotta do. Anyway, my vision of putting my toddler in bed and just leaving the room? Well, it’s non-existent. But you know what I got in its place? 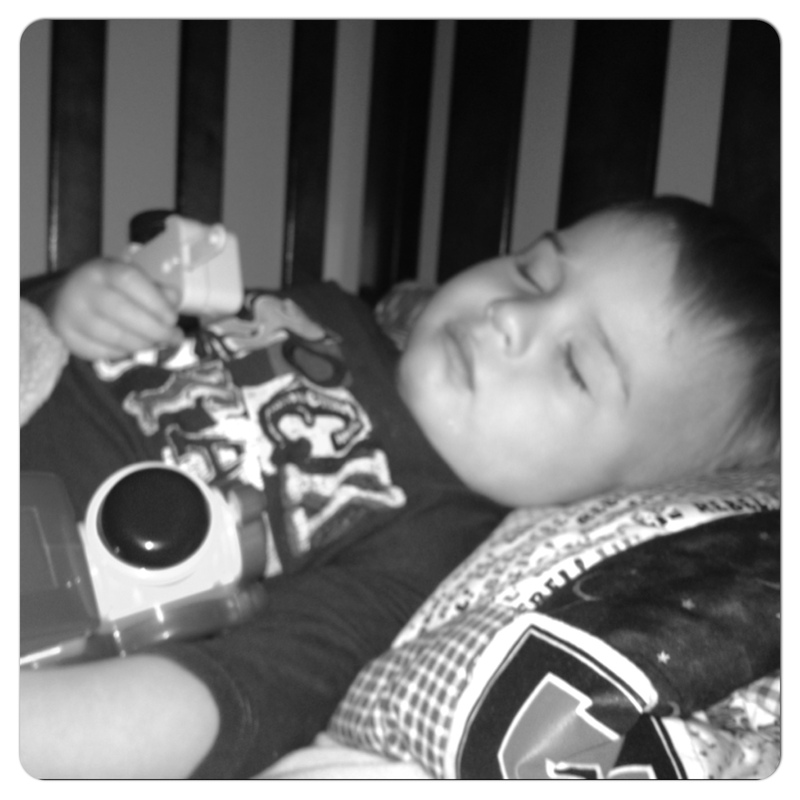 The most beautiful, precious moments of watching my baby fall asleep. Sometimes he’ll be just about to drift off, and he’ll raise up and wrap his sweet little arms around my neck and give me a big kiss. Then he’ll lay back down and go to sleep. Completely happy. And so am I. It gives me time to reflect on our day. And on Hudson. It gives me time to thank God for loaning him to us. And to ask for His guidance in raising him. And yes, there are some nights when I have a million things to do. I’m tired, and it would be nice to put him in bed and go finish my to do list. And I know that one day, it will be that way. He won’t want me to rub his back or sing “you are my sunshine”. But right now that’s what he needs and wants. I think I fought it so hard, because I thought if I changed my game plan, then I was failing. If my toddler couldn’t go to sleep without me, then I was a bad mama. There’s some more real for you. But I finally just gave in to it. I decided him needing me to fall asleep, wasn’t a that big of a deal. I just needed to get over myself, and be thankful, yet again, that Mamahood isn’t graded by my pre-baby self! So sweet! You will look back on this time and realize how incredibly fast it went by so doing things like that are so worth it! I feel like there are a lot of people out there that would judge me for the time I spend with LK– the fact that she isn’t in MDO yet, that I hardly ever get a babysitter, etc… (not that those things are wrong!) but I am just SO loving this sweet time with her, and I know she will be this small for only a moment! Totally agree Anna!!! I’m sure I have some critics too! 🙂 I’m probably crazy for doing the toddler bed! But it worked! Talk to you tonight!